Oxidative stress is proposed as leading event in the deterioration of health and basic biological processes. 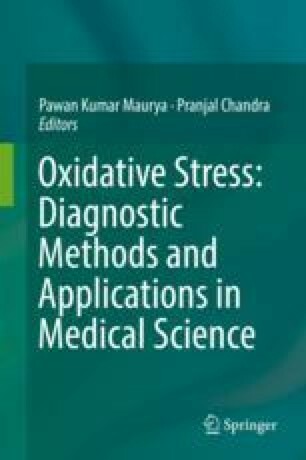 Ever since the Harman’s theory of aging was proposed based on the ill effects of oxidative in the body, the pace of oxidative stress research became rapid. The antioxidants were proposed as putative therapeutic and prophylactic agents for the prevention of oxidative damage and its aftermath. Despite the escalating research publications in the domain of oxidative stress and antioxidant therapy, apparent clinical transitions are fairly low. Perhaps, this should not be looked as question on the studies which were performed on the antioxidants, rather our poor understanding of cross talk of antioxidants and oxidants in the cells and its downstream effects. It seems that decision of considering antioxidants as miracle drugs for aging and similar condition was too early. There is lot more to be explored in this domain, and as we move deeper, we realize that oxidative stress and antioxidant interplay is one of the most complicated biological events that has several fold more complexity than basic cellular processes and metabolism. The scientific questions such as how much antioxidant dose is optimal and which antioxidant is most suitable can only be answered in a context-specific manner. The several anomalies and unfruitful clinical translations of antioxidants have led to the continuation and intensification of antioxidant research. With the advent of a new domain of science named nanotechnology, few exciting possibilities have emerged in the antioxidant researches which are likely to answer some of the issues of conventional antioxidants. This chapter is aimed to discuss the emerging trends in nano-antioxidants with a special focus on much-studied antioxidant nanoceria. Aldrich.com, S. http://www.sigmaaldrich.com/materials-science/nanomaterials/gold-nanoparticles.html. Accessed 17 July 2016. Article S. A. http://www.nature.com/scientificamerican/journal/v308/n2/full/scientificamerican0213-62.html. Accessed 16 July 2016. Figueroa, M.. http://tt.research.ucf.edu/. Accessed 4 Mar 2014.